Mr Capehart, your Washington Post hit piece insidiously designed to smear Chris McDaniel who is a decent and honorable man goes beyond the pale of low-rent race-baiting politicking. But, I get it. You are black which grants you carte blanche to irresponsibility yell racism in a crowded political theater whenever it fits your fancy. We know the drill. You want to take out a bold, outspoken, popular conservative Republican, by calling him/her a racist. The accused Republican is then supposed to cower in fear and spend time and resources explaining when they stopped figuratively beating their wife. Well, that “ain't” happening this time. As a black American, I find your tactic deplorable, divisive, racist and evil. Yes, I said evil. In our sophisticated times, the “e” word is seldom used. But, I call it like I see it. In typical Democratic party manipulative, race-baiting and hate inspiring fashion, you guys take everything to it's ultimate extreme. For example. McDaniel along with millions of Americans have had enough of Obama's unlawful power grabs, trashing of the Constitution, lies and bullying of Americans who dare to challenge him. Obama even said, “We punish our enemies”. 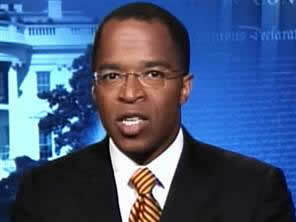 Mr Capehart, your unconscionable attempt to gin-up hate will fail. My faith tells me that good triumphs over evil. Chris McDaniel is a good man; a strong conservative voice for We the American People. Mr Capehart, your Washington Post hit piece insidiously designed to smear Chris McDaniel who is a decent and honorable man goes beyond the pale of low-rent race-baiting politicking.